How Often Do Medical Errors Occur? | Raw Law | Law Offices of Adam M. Thompson, P.C. The short answer—often! That is scary. Experts now believe that medical errors are much more common than previously thought. Some estimates indicate that as many as 440,000 medical errors that result in death occur each year in the United States alone. There is no central reporting system that tracks all medical errors, making it difficult to ascertain an exact figure. A medical error is defined as "a preventable adverse effect of care, whether or not it is evident or harmful to the patient." 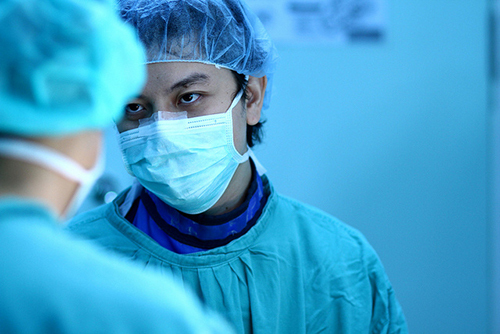 Not all medical errors result in medical malpractice, but many do. Medical errors can be committed by any entity in the health care field. Doctors, nurses, hospitals, dentists, and nursing homes are all capable of making a medical error. In 1999, medical mistakes were originally thought to result in about 98,000 deaths each year, according to a report issued by the Institute of Medicine. However, in 2010, another report, from the Office of the Inspector General for Health and Human Services, revealed that approximately 180,000 Medicare patients each year encountered medical errors leading to their deaths in hospitals. In 2013, another study, from The Journal of Patient Safety, noted that the number of medical errors for the general population is likely more than 210,000 per year. According to that study, the total number might actually be closer to 440,000. The frequency of medical errors can be difficult to calculate not only because of reporting limitations, but also because a person might experience multiple medical errors before his or her death. For example, a 2012 article in U.S. News and World Report told the story of a woman whose mother went into the hospital diagnosed with gout. A medication error and bad infection controls led to the mother's loss of mobility and death from a blood infection. Unfortunately, many medical errors are missed and not reported at all. Sadly, many patients are seriously harmed by such mistakes without anyone being held accountable. Although hospitals do have protocols for avoiding mistakes, patients and their families must be vigilant. For example, a hospital might ask the patient a series of questions regarding their upcoming surgery as the patient goes through each department on the way to the operating theater. While this may limit the possibility of a medical error, it doesn't completely remove the possibility of an error. Therefore, whenever you go to the hospital or any doctor for treatment, take notes on everything that has happened and get copies of all records. It is important to ask questions and get answers. Do not be afraid to ask. It is your health and safety at risk. As a patient, you have rights—use them. If you believe you were injured because of a medical error, or you are the surviving family member of someone who was fatally injured by a medical error, please consult with a New York medical malpractice attorney as soon as possible to discuss your legal options. Attorney Adam Thompson can help you pursue your right to compensation. While money cannot heal you or your loved one, holding the party at fault accountable can bring a sense of closure, and perhaps even more importantly, help prevent future errors from hurting other patients and families.